Difficulties will arise within all young persons. The time and duration may change, but everyone will experience fear and inhibition. Parents can help ease the burden by treating their children as friends. There is an old saying in Sanskrit: “When your son or daughter turns sixteen, behave with them like a friend.” Parents shouldn’t act like teachers; they shouldn’t tell their children what to do or what not to do. Instead, they should just share their difficulties with them. Be a friend to them – a friend who is at their level. A friend understands them, and pays attention to their emotions and difficulties. Teenagers should keep their spirituality as a tool always. Whether experiencing inhibition or fear, a strong and consistent spiritual practice will see young adults through both the highs and the lows of growing up. Indeed, spirituality will help students understand that failing an exam is not the end of the world, or that true happiness depends on what their friends think about them. Students should commit to self-realization. Such commitment can take you across all obstacles; and the greater the achievement, the greater the commitment. The more you commit, the more your capacity to do any work. Commitment is always about shouldering something a little more that what you can do. You don’t say, “I am committed to drinking a glass of water or walking one kilometer”, which you do anyway. Your commitment has to be more than what you think you can do. Commitment is about stretching your capabilities. There is so much talk about success everywhere. Everyone wants to be successful. Have you ever thought, what success is? It’s simply ignorance of your capabilities. You have set a limitation on your self, and whenever you cross your own boundary or limitation, you claim success. Success is ignorance of the power of your self because you assume you can do only that much. You never say, “I successfully ate a banana!” When you put a limitation on something, you are limiting the power of your own self, your own consciousness. Every time you achieve something, you feel proud about it, is n’t it? Actually, you should feel sorry about it. You are just proud of what you can easily do, because you do not know that you can do so much more than what you are proud of. When you are successful, you are proud of it, and if you fail, you feel guilty and upset. Both can drag you out of joy, out of the greater potential that you possess. So the best thing is realize your success, and surrender it to the Divine. If you are successful, so what? It is just another happening, another thing that you did, and you can do much more. Through spiritual practice and raising awareness, our youth can expand their limits and move through the obstacles of growing up. We need to work together to move our fears aside, release our inhibitions, and move forward with a smile and grace in our lives. As we let all the thoughts, emotions, and judgments pass by and consciously choose to focus on the joy in our lives, our difficulties will naturally recede into the background as we become light and buoyant, and reflect the light of the Self. -Excerpts from talks by H. H. Sri Sri Ravi Shankar and compiled by Scott Lucas. A good digestive system is one of the key pillars of a healthy lifestyle. Physical ailments like constipation, stomach ache, ulcers, acnes, pimples and bloating can be kept at bay if one’s digestive system is in a good condition. Hanumanasana is an intermediate level yoga posture that derives its name from the giant leap made by Lord Hanuman from the southern tip of India to the island of Sri Lanka in the Ramayana. Urdhva Mukha Svanasana is a back-bending yoga posture that strengthens the arms, wrists and spine. It also stretches the back and relieves the body of lower back ache. Yoga plays a significant role in promoting eye health. A yoga routine replete with asanas, pranayama and meditation helps in achieving peace and tranquility. 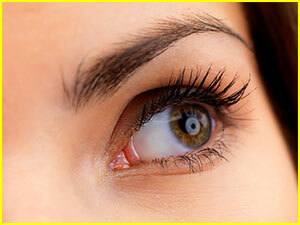 Yogic eye exercises strengthen the muscles of the eyes and thus help in curing many ailments of the eyes. Certain eye exercises are known to completely rectify eye problems. With yoga, people begin treating their eyes with care, which reflects in good eye health. The renowned late William H. Bates, an ophthalmologist, claimed that vision could be improved with eye exercises like palming, eyeball rotations and gaze shifting. So, eye exercises are important to any individual and should be incorporated into the regular yoga routine. These exercises can be performed after the asanas. Before beginning the yoga for eyes exercises, it is important to assume the corpse pose to relax all the body parts. 1. To do this pose, one should lie motionless on the floor and close the eyes. 2. All the body parts from the toes to the head should be in a relaxed state. 3. In this relaxed posture, total calmness, and peace is felt when the whole body and mind have taken complete rest.